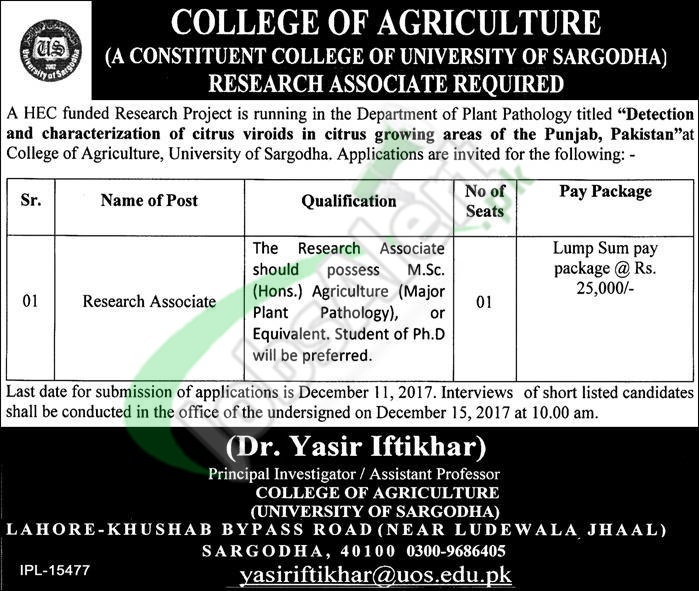 Here you'll get Sargodha University Research Associate Jobs 2017 November Advertisement Latest in which jobs are available for those who possess M.Sc. (Hons.) Agriculture (Major Plant Pathology), or Equivalent. Candidates meeting criteria should apply before last date 11th December 2017.